Lionel Messi is free to represent Argentina in their World Cup qualifiers after his four-match international ban was overturned on appeal. The 29-year-old Barcelona forward was suspended for insulting an assistant referee during a 1-0 win over Chile in March. He missed one match,Argentina’s 2-0 World Cup qualifying loss to Bolivia. A FIFA appeal committee said his behaviour was reproachable, but the evidence was not sufficient. 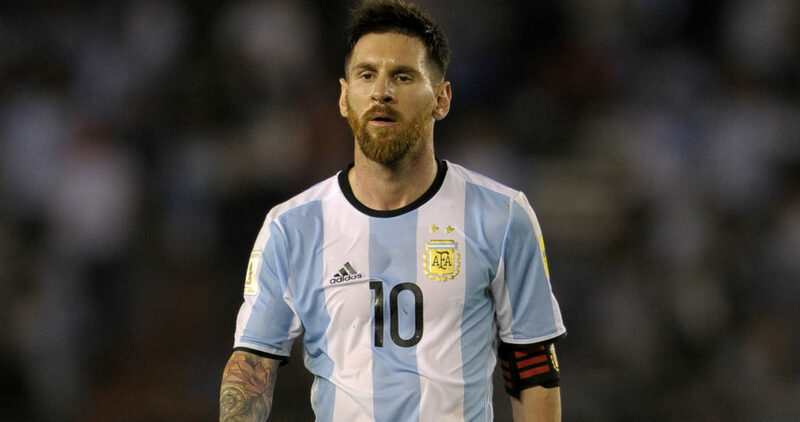 Messi would be available for matches against Uruguay, Venezuela and Peru as Argentina fight to secure a place at next summer’s World Cup finals in Russia. A fine of 10,000 Swiss francs (7,800 pound) was also lifted. During the Chile game, Messi was caught on camera venting his anger at an assistant who signalled he had committed a foul. He was not shown a card at the time. The FIFA appeal committee concluded that the evidence available was not sufficient to establish an infringement had occurred. “The appeal committee nevertheless underlines the importance of always showing respect to the match officials, stressing that such a principle is essential in football. “Any unsporting conduct that may be contrary to the principles of fair play cannot be accepted,” a statement.